Silicon Suites is located in the heart of Bangalore and provides necessary amenities for a pleasant stay. 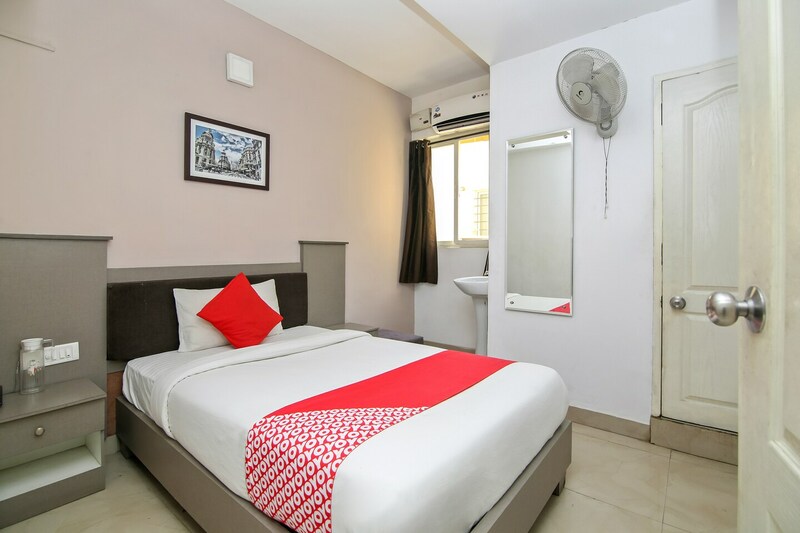 The rooms are bright and spacious, equipped with basic amenities for a convenient stay. The wooden furnishings are comfortable and compliments with the wall colour. The lobby is also well-furnished with scenic paintings decorating the walls. Elevator service is available for guests. The hotel offers free Wi-Fi service so that guests can stay connected and catch up on work. Power backup and CCTV cameras ensure the security of the guests. The guests can also enjoy some tasty treats at the nearby restaurants.